I say it all the time on this site, but travel does NOT have to be expensive! In fact, I only travel to places where I know I can stretch my dollars pretty far. I like to coin myself as a “luxury budget traveler”. The only time I went against that title is when I went backpacking through South East Asia last Fall. I mean, let’s face it ‘backpacking’ is not exactly glamorous with fancy hotels and lavish meals. Even still, I traveled for 3 months through Asia and only spent $2500! Anyhoo, I wanted to share with you all how I budget all of my trips! Let me preface and say, budgeting is LIFE! I am a pretty frugal individual in general, but when it comes to trips I like to plan accordingly. At the bottom of the post is a link to the exact budget template I use for my expense planning. As far as my trips are concerned, the destinations choose me, I typically do not choose them! Like the example I will be showing you, I snatched a deal to Brazil for $273 round-trip! In this case, I grabbed this roundtrip flight to Brazil for $273! Decide on How Much I Want to Spend for the Entire Trip. For Brazil, $1,000 would be more than enough. If not, I will make it enough! Do Some Extensive Research On Things I Want to Do/See, Average Cost of Accommodations, Cost of Food, and Costs for Entertainment! Once I have found my hotel/Airbnb/etc, estimated food and entertainment costs, and even factored in transportation, I plug it into my budget! 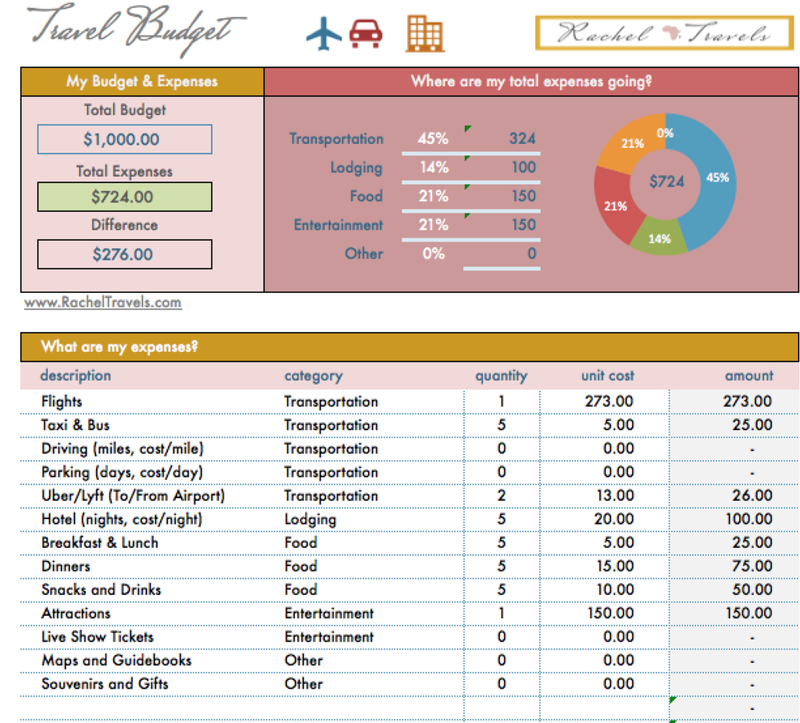 My Budget Template Calculates Everything For Me and I Can See Where I Stand! I rarely buy souvenirs (I was starting to end up with a bunch of crap!) for people or myself. I like sending postcards or getting something small and meaningful. This cuts costs and saves room in your luggage! I love to eat local and authentic food! Not only does it taste so much better, but you get a real authentic experience and its a lot cheaper than eating in the ‘touristy’ spots. So with a Budget of $800 for My Entire Trip to Brazil (including flight & hotel), Do You Think I Came Over and Under Budget? Download This Budget Template to See How I Did It & Use It to Plan Your Next Trip! 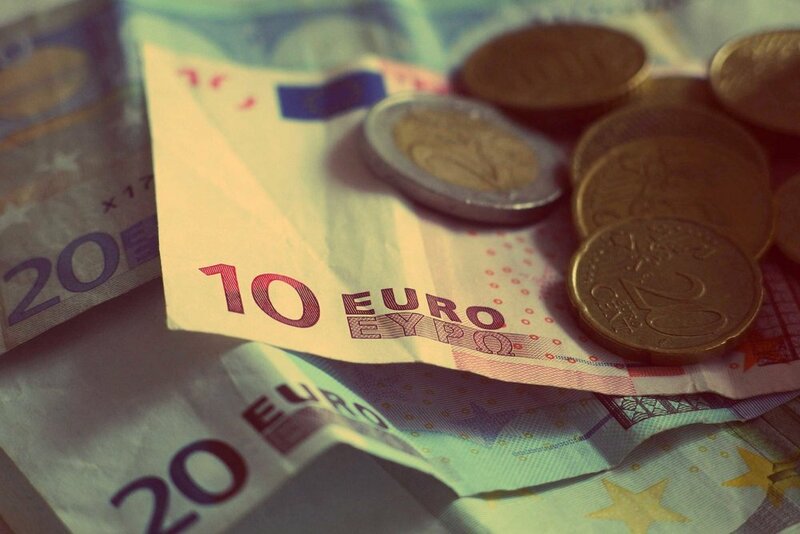 How do you budget for your trips?